If your MAC computer or device is damaged and you feel that you have lost the valuable information on it, contact us for MAC data recovery in Toronto. Our tech team is very experienced with the MAC operating system, and can help you with any lost, damaged or erased MAC data. Any of these could be the cause of your need for MAC data recovery. In Toronto, throughout the GTA and the rest of Canada and the USA, we have helped many over the years with data recovery situations, and we are here to help you in any way possible. T.I.M. Data Recovery will go the distance with you and do everything in our power and ability to help you recover important lost data. We offer MAC data recovery in Toronto, MAC data recovery in Richmond Hill, MAC data recovery in Vaughan, and MAC data recovery in the GTA at reasonable rates. 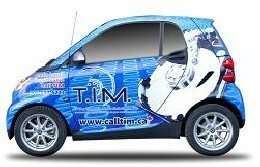 Contact us today if you need Toronto MAC data recovery, and experience the T.I.M. Data Recovery difference.